A year ago, Mahmoud Wadi was languishing in Gaza, prevented by Israeli authorities to return to the West Bank and play for Ahli Al-Khaleel. It was a time of frustration for Wadi and all those involved in Palestinian football. After lighting up the 2016 AFC Cup with five goals, hopes were high for the raw, but powerful forward. His excellent play did not go unnoticed abroad, a member of the Al-Ahli Amman coaching staff had been in Gaza holding training camps and suggested his signing (along with Mohammed Balah) to the side. In the last days of August 2017, the Rafah border crossing opened and Wadi found a way to the Jordanian capital via Egypt. His brief time in Jordan was superlative. The striker did not struggle with the increased quality the opposition presented him with and demonstrated all the qualities he was known for. He was virtually unstoppable in the air and the team's game plan was quickly adjusted to suit his strengths. 10 goals in 17 league games accounted for nearly half of the team's 22 goals. His total was good enough for fifth overall in the goalscoring charts; a total that would likely have finished higher if not for an injury at the end of the season. 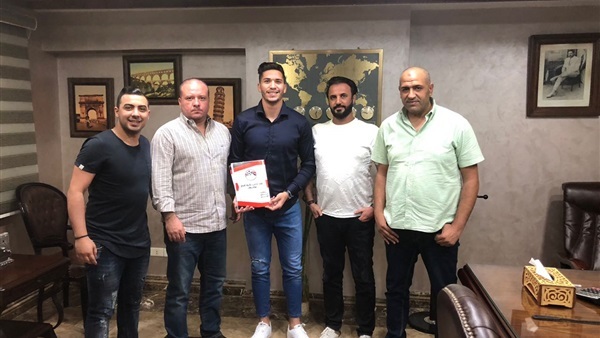 One season in Jordan was all Al-Masry needed to pull the trigger on a two-year contract for the 23-year old Gazan. He will become the second Palestinian to play for the side, following in the footsteps of goalkeeper Ramzi Saleh. In the last two years, fellow Palestine internationals Islam Batran and Jonathan Cantillana have had brief stints in the Egyptian Premier League. Their times with Wadi Degla and ENPPI respectively, came to a premature end after coaching changes at both teams. Wadi will be facing some stiff competition to get into the side with older and more experienced players ahead of him in the pecking order. Ahmed Gomaa, an Egypt international was the side's leading scorer, with 12 goals in 30 games. Al-Masry also have the ever-green Aristide Bancé, a Burkina Faso international who notched eight goals in 19 games last season. Another Burkina Faso international, Issouf Ouatarra, was also brought from Wadi Degla to provide further options in attack. Al-Masry finished third in the Egyptian Premier League last season and will play in the 2018/19 CAF Confederation Cup.